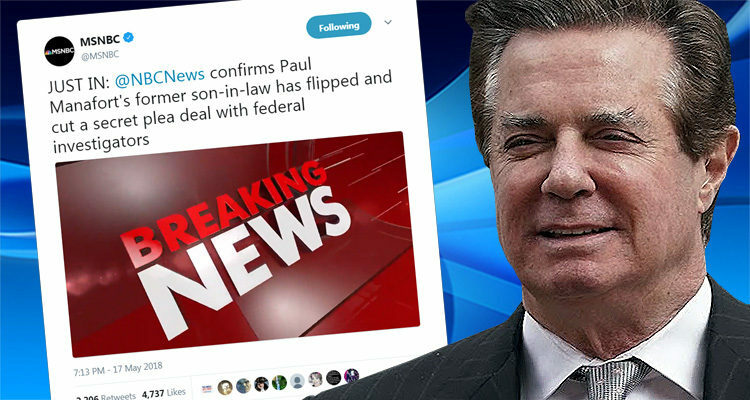 Just in: Reuters reports that Paul Manafort’s former son-in-law cut a plea deal and is now cooperating with federal investigators. The guilty plea agreement, which is under seal and has not been previously reported, could add to the legal pressure on Manafort, who is facing two indictments brought by Special Counsel Robert Mueller in his probe of alleged Russian meddling in the 2016 presidential election. Manafort has been indicted in federal courts in Washington and Virginia with charges ranging from tax evasion to bank fraud and has pleaded not guilty to the charges. Jeffrey Yohai, a former business partner of Manafort, was divorced from Manafort’s daughter last August. Manafort has been indicted on charges including bank fraud and tax evasion in federal courts in Washington, D.C., and Virginia, charges stemming from special counsel Robert Mueller’s probe into Russian election meddling and any ties to Trump associates. Last month, a federal judge dismissed Manafort’s civil lawsuit that challenged Mueller’s authority and asked the judge to toss the charges. One of Manafort’s longtime associates, Rick Gates, has already pleaded guilty to charges stemming from Mueller’s probe. Gates pleaded guilty in February on charges of conspiring against the U.S. and making false statements to the federal government. He is, CBS News correspondent Paula Reid has reported, cooperating with the special counsel as a part of his plea deal, and his deal is contingent on his cooperation and testimony.